A Halloween party without the appropriate pumpkin decoration is, of course, only a half thing. 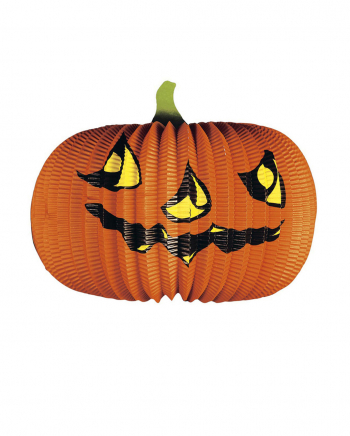 The colorful pumpkin lanterns are a simple and inexpensive hallowe decoration. The impressive large round, orange-colored reispaped lantern has a grinning pumpkin as a print. The Halloween lantern has approx. 40cm in diameter and is flame retardant impregnated.